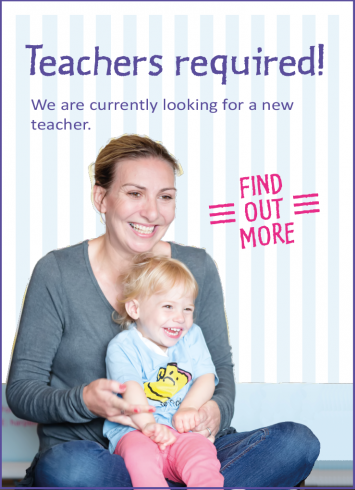 Hello, my name is Alex Schirn and together with my wonderful team of teachers, I run Monkey Music in Weybridge, Cobham, Stoke D'Abernon, Walton on Thames, Hersham and Molesey. We offer a range of classes individually tailored for each age group, from 3 months to 4 years. We can't wait to meet you! I grew up surrounded by music at home, I play the piano and clarinet but my main instrument is my voice. As a child and teenager I competed in various competitions for singing, winning a national award for a solo song at age 16. I took part in musical theatre and was part of a local choir and orchestra. When I had my first child I was passionate about exposing him to music as much as possible as I understand how much it can help with child development and the skills it teaches. This lead me to finding Monkey Music seven years ago and I continue to attend classes with my daughter. 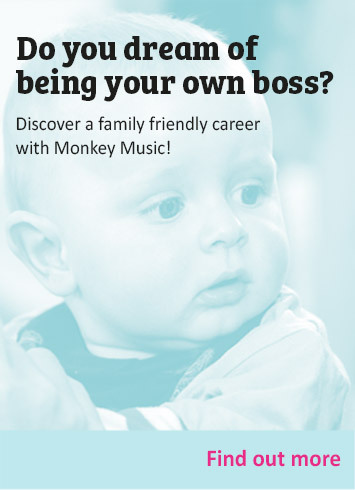 I have watched as both of my children have thrived and learnt through the progressive curriculum Monkey Music offers and as a family we have thoroughly enjoyed attending classes. When the opportunity came for me to run a franchise of my own I jumped at it! At Monkey Music we offer a range of classes individually tailored for each of our four age groups from 3 months to 4 years. By singing songs, using actions and engaging with colourful props and instruments, children build confidence, improve their vocabulary and coordination and develop vital life skills. Our classes are also designed to encourage positive communication and bonding between carer and child, as well as nurturing a lifetime of music. We would be delighted to welcome you and your child to experience one of our award winning classes. Come along to a complimentary class and share the fun! "Monkey Music is the highlight of our week! The teachers bring music to life and my children and I love it in equal measure. Seeing their progress is so rewarding!" 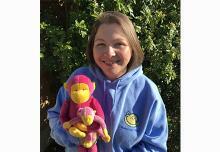 "We love Monkey Music and look forward to the classes each week. We have the CD's in the car and sing along whilst out. 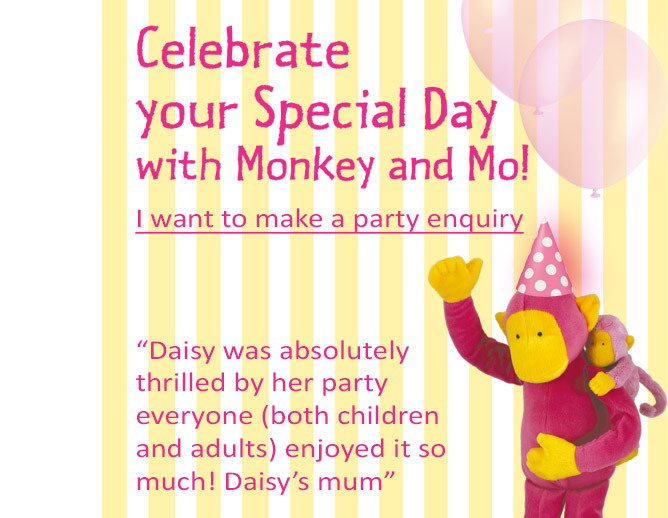 Classes also helped to meet local Mums who we see for play dates, so thank you Monkey!" "Ruby's been attending classes since she was 3 months old. She's now 7 months and it's so lovely to see her grow with the classes from learning to track sounds to pay attention & focus on our wonderful teacher"
"We love coming to Monkey Music, it's the highlight of our week. The teachers are great, the songs are fun and we love playing the instruments and learning about music"
"My daughter & I love Monkey Music. It is good quality time together, with lots of fun, singing, dancing & giggles. During all the fun, the children are learning to read music and play instruments!" "Thank you so much for hosting my son's first birthday party and making the day fun! We all had an amazing time and didn't want it to end!" "Thank you Alex for coming along and entertaining the children in the local hospital. They loved it and you were so great with them. Even Mayor Rachael Lake of Elmbridge joined in"
It's an absolute pleasure seeing the children each week and watching them develop and grow as we progress through the curriculum, I'm often amazed at how clever they are! From a 3 month old baby reaching out for a sound to a 3 year old telling me how many strings a violin has. I love it! Michelle worked in London's West End for 10 years, appararing in musicals including Mamma Mia! She says inspiring children with music is an absolute joy. She has 2 of her own Little Monkeys George and Kia. Karen started performing professionally from the age of 8 & played the flute to Grade 6. After school she studied dance & drama and now teaches Tap. Karen's classes are always fun-filled, happy places & the grown-ups are as likely to leave with a smile on their faces as the children. Before becoming a Monkey Music teacher Catherine worked as children’s researcher for Disney. She plays the piano & has a varied dance experience including ballet, tap & Irish dancing. Catherine’s classes are full of fun and energy! Wonder what we do at class? Summer Term Starts a Week TODAY!